Silent Sky Project#26 August 22nd 2008, 6.58 – 7.28 pm, 41 participants, Sinop, Turkey. 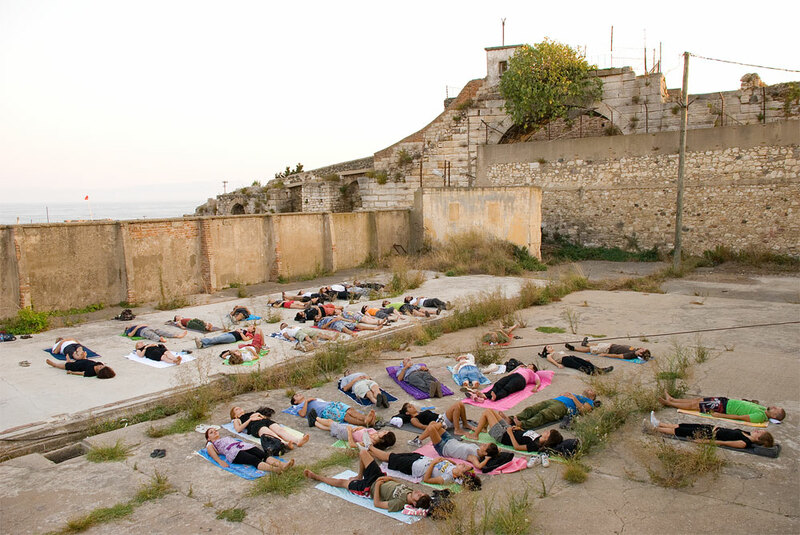 A group of people connected to the second Sinopale Art Biennal in Sinop, Turkey came together to look at the sky in silence. The biennal is organised in the building of the former Sinop Prison. A very old prison where for centuries people endured difficult times. The prison housed many political prisoners and also Sabahattin Ali who wrote a poem in this prison which became a well known song in Turkey. Thanks to: Melih Gorgun, Monali Meher. 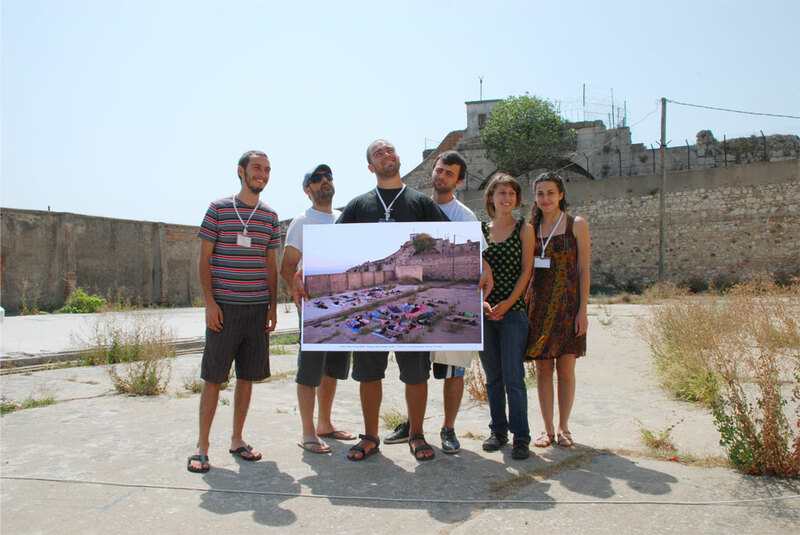 Some of the participants holding up the print for the exhibition of the Second Sinopale Biennal, Sinop, Turkey. 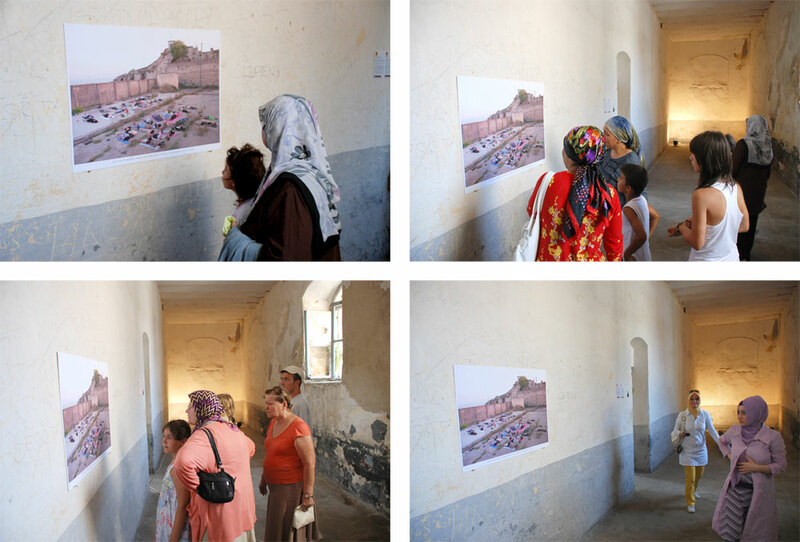 Visitors of the exhibition in the former prison.